Our company’s philosophy is to strive for perfection and total customer satisfaction in the art of electronic and digital support. 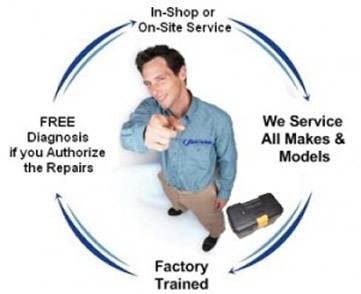 We provide repair, maintenance and replacement part service on most consumer electronic and digital products. We repair a wide range of electronic lifestyle entertainment products including: Televisions, Tablets, phones, computers, cameras and other electronic devices. We repair LCD TVs, LEDs, Plasma, projectors, DVD players, Blu-ray players and recorders. We repair from the simple audio equipment to the most sophisticated digital audio systems. We repair cameras of most brands, including Sony, Canon, Panasonic, JVC and more! We offer our clients specialized services in the installation of home theater, wall-mounted television and digital antennas. We repair tablets and cell phones; We offer a very fast turnaround time ….